Sweeps and Ladders offers comprehensive chimney and Fireplace maintenance services in the Franklin, TN Area. Divi text modules, Testimonials, Fullwidth Slider, Blurbs, Images were used to build all the sections which Divi provides. Gravity Forms was used to create the Contact and Request an Appointment page. SEO Optimization was done using the Yoast Plugin. 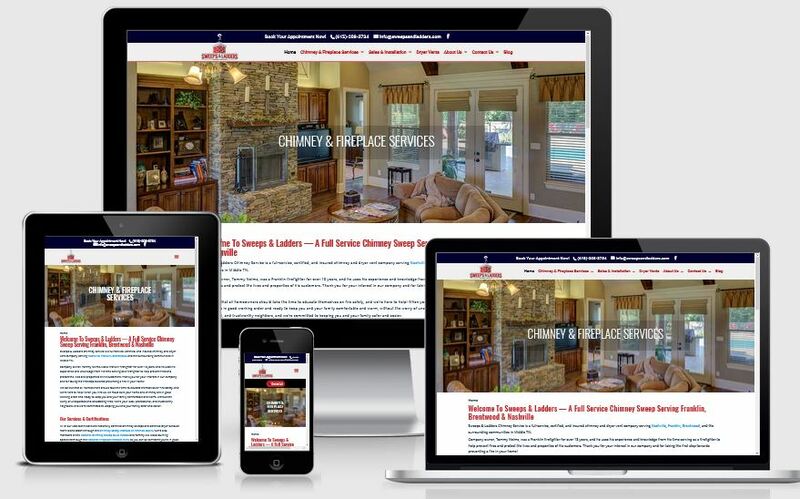 Sweeps & Ladders Chimney Service is a full-service, certified, and insured chimney and dryer vent company serving Nashville, Franklin, Brentwood, and the surrounding communities in Middle TN. This project was done using the DIVI theme and WordPress. The goal was to have a Multi page website with primary and Secondary menu bars, footer across every page. The website uses other Divi modules like Tabs, Contact forms, testimonials, gallery and Call to Action (CTA) buttons.